Ein wenig spÃƒÆ’Ã‚Â¤t- aber nun denn – LOL – meine Karte fÃƒÆ’Ã‚Â¼r letzte Woche – was macht mir Angst? 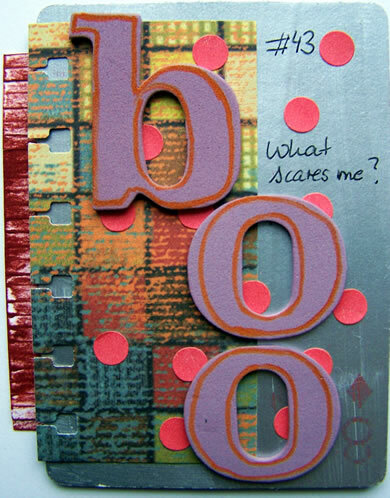 A little bit layout – but finally- LOL – my card for last week – what scares me? I should have never read Judith’s comments above. I always wanted to go on safari, but now I’m not so sure. 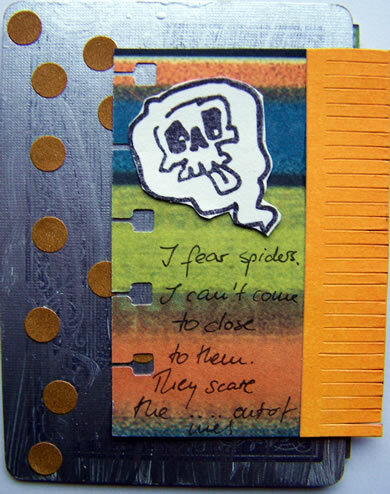 Spiders are make my tummy hurt!